Located in the heart of thriving Fort Bend County. This luxury community is over 3,700 acres of premium location just southwest of Houston, and is masterfully planned for 6,000 homes and 18,000 residents over the next eight years. 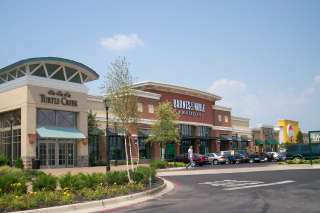 Riverstone's main entrance is located on Highway 6 just three miles south of US-59. The community offers new neighborhoods with a Sugar Land address and an architecturally diverse selection of homes priced from the $200s to the millions. From Money to BusinessWeek, the list of leading publications naming Sugar Land as one of America’s best places to live keeps growing. And there’s no better place to find a new home in Sugar Land than Telfair, a 2,018-acre community that defines the art and soul of great living.Telfair is a community that devotes 300 acres to recreational amenities, a central 70-acre lake and park system, which flows throughout the community. Marked by a dramatic pair of arched suspension bridges, the park offers places to jog, walk and bicycle. Telfair builders include: Beazer Homes, Darling Homes, David Weekley Homes, Highland Homes, Huntington Homes, Meritage Homes, Newmark Homes, Partners in Building Homes, Perry Homes, Ryland Homes, Trendmaker Homes, Village Builders, and Wilshire Homes. Three neighborhood recreation centers are planned for Telfair. The first recreation center, now complete, offers a swimming pool, playground, poolhouse. Future planned amenities include tennis and sand volleyball courts, more swimming pools, trails and playgrounds. A 70-acre Sugar Land park is also planned. Directions: Take U.S. 59 South to University Blvd. and turn right. Follow the signs to the Information Center. I proudly serve Sugar Land, Stafford, Missouri City, Galleria, Med Center, Bellaire, Southwest Houston, and Fort Bend County area. Mike is a 28 year resident of First Colony in Fort Bend County. If you are seeking an agent with extensive regional specialization in the Sugar Land area, please feel welcome to contact Mike. A home is not a home because of its room dimensions or the color of the walls. It is about how you feel when you walk through the front door. And the way you can instantly envision your life unfolding there. This is about more than just real estate. It is about YOUR LIFE, YOUR PERSONAL NEEDS, YOUR EXPECTATIONS, and YOUR DREAMS. Allow Michael to discuss your needs and goals with you. If you are a seller, a buyer, an investor, or interested in joining the Keller Williams family call Mike for a no obligation personal consultation. After he exceeds your expectations with a professional and personal experience, you will understand and appreciate the benefits Mike provides as a full service professional realtor. Would you like to recieve a FREE Comparative Market Analysis (CMA) Report on your home? For SELLERS: I provide a home warranty for listing with me to protect your home and budget from costly repairs or expenses while your home is listed for sale on the market. Your property will be marketing online through several major websites including our very own Keller Williams International website for the maximum internet exposure to every potential buyer. You can be assured your listing will appear on the standard websites used by other standard agents. Then you can be confident that I will list your property on additional websites for premium market exposure. For BUYERS: I provide a home warranty for new or existing construction to protect your investment and budget from unexpected repairs and expenses when you choose me to serve your real estate needs. Buying real estate is typically the largest investment people will make in thier lifetime. Buying new construction? Allow me to discuss your needs and work on your behalf with builders to make sure you are fully represented and everything moves along smoothly. For INVESTORS: take a moment to review my background to understand how my experience can help you with your important financial decisions. Keller Williams Realty takes a different approach to real estate, one that is built on personal touches, win-win deals and positive results. Mike Wong has chosen to join Keller Williams Realty because of our common goals and innovative ideas for servicing our clients and exceeding thier expectations. We believe in building personal and rewarding friendships with our clients, not just professional relationships that end with a closing. 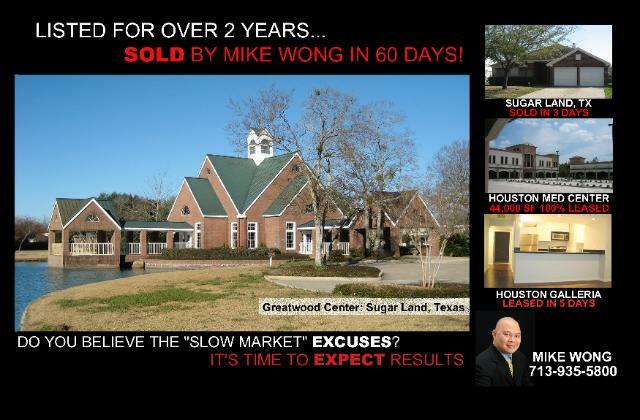 Mike Wong utilizes the latest technologies, market research and business strategies to exceed your expectations. More importantly, he listens to your needs and that means we find solutions that are tailored to you. Thanks for starting your real estate search with us and considering Mike Wong. This website is full of information for you whether you are looking to buy or sell. Please take a moment to read about us and Mike's background to understand the distinctive advantage you will have as he represents you. We appreciate the opportunity to earn your business, and it would be a privilege to be your agent.